Kevin Patrick Dwyer, 55, Humboldt, KS, passed away Sunday, May 13, 2018 in Wichita, KS. Billy Joe “Bill” Chard, 73, Chanute, KS, passed away on May 17, 2018 at NMRMC in Chanute Bill was born on January 22, 1945 in Chanute, KS, the son of Frank and Doris (Phillips) Chard. James Loop, 55, of Burien, Wash., passed away Feb. 10, 2018. A Celebration of Life will be hosted by his parents, Charles and Carolyn Loop, on May 25, 2018, from 5-7 p.m. at Round Barn Ranch, 9445 S. Woodlawn, Derby. David Lee Trottman, 74, of Leavenworth, died, Wednesday, May 16, 2018. 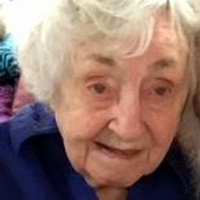 Evalena Howard, 91, died May 16, 2018. No visitation. Celebration of Life service: 10am Tuesday, May 22 at Smith Mortuary, 1415 N. Rock Rd., Derby. Clifford Earl Karraker, 88, passed away at 12:41 p.m., May 15, 2018 while in the company of family members, at Cedars House , McPherson, Kansas. Arrangements will be announced by Glidden – Ediger Funeral Home. 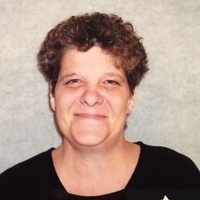 Terry Lee Allison, 53, of Merkel, Texas, died Tuesday, May 15, 2018 from a long-term illness in his home. Ted Edgar Terhune, 79, of Winfield, passed away Tuesday, May 15, 2018, at his home. Dorothy E. Pappan, 86, of Arkansas City, passed away Wednesday, May 16, 2018, at the South Central Kansas Medical Center of Arkansas City. View The Obituary For Robert "Bob" C. Ward of Pittsburg, Kansas. Please join us in Loving, Sharing and Memorializing Robert "Bob" C. Ward on this permanent online memorial presented by Brenner Mortuary.